A range of plain or encoded cleaning cards for cleaning and maintaining magnetic card reading equipment. 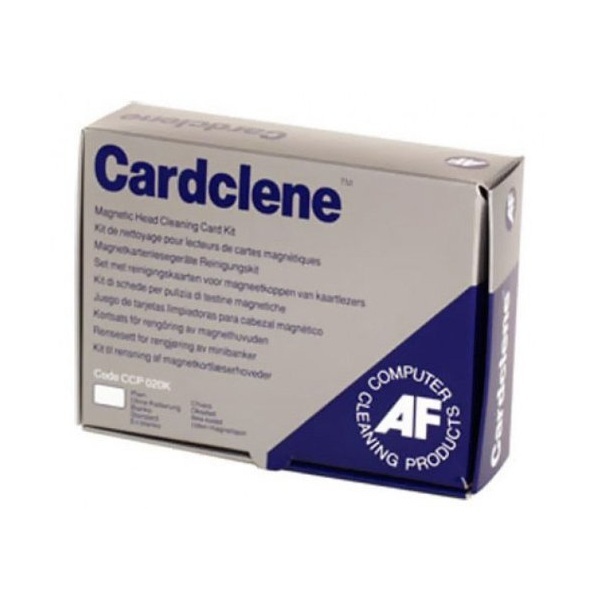 Cleaning Tip: Cardclene should be passed through the swipe machine three or four times and by turning the card around you will make use of both sides of the card before discarding. To keep the keypads on the card reading machines clean and efficient use AF Ultraclene wipes. 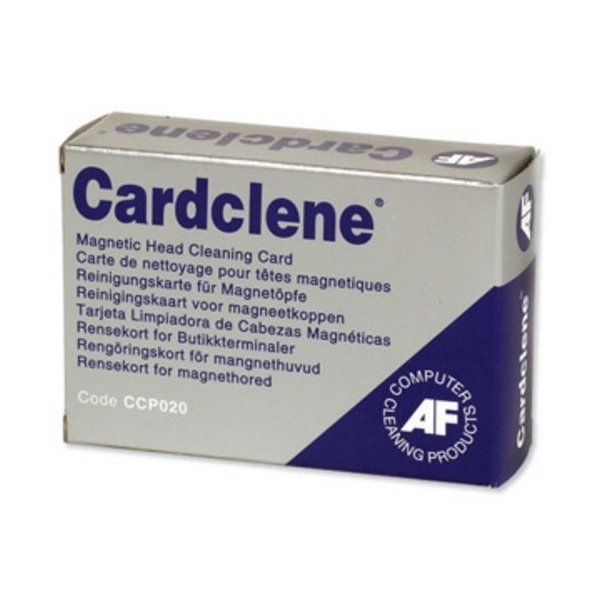 Plain cleaning cards for cleaning and maintaining magnetic card reading equipment. Plain white cards impregnated with isopropanol. Use for Chip and Pin terminals, ATM machines, EFTPOS machines, hotel door swipe readers and various point of sale equipment. Leading manufacturers recommend cleaning EFTPOS machines after every paper roll change. Box of 20 individually foil wrapped cards. Plain cleaning cards supplied with a 70ml pump spray of Headclene. Kit includes 20 individually foil wrapped cards and 70ml Headclene pump spray.